This course examines computer systems and control of external devices. Students will assemble computers and small networks by installing and configuring appropriate hardware and software. Students will develop knowledge and skills in electronics, robotics, programming, and networks, and will build systems that use computer programs and interfaces to control and/or respond to external devices. 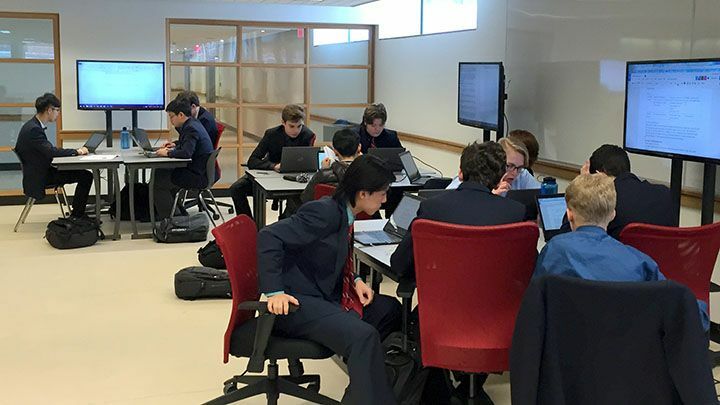 Students will develop an awareness of related environmental and societal issues, and will learn about college and university programs leading to careers in computer technology. This course introduces students to communications technology from a media perspective. Students will work in the areas of TV/video and movie production, radio and audio production, print and graphic communications, photography, and interactive new media and animation. 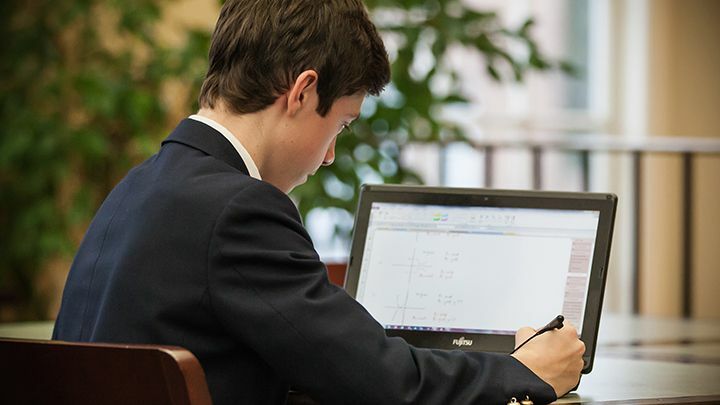 Student projects may include computer-based activities such as creating videos, editing photos, working with audio, cartooning, developing animations, and designing web pages. Students will also develop an awareness of environmental and societal issues related to communications technology, and will explore secondary and postsecondary education and training pathways and career opportunities in the various communications technology fields. This course enables students to develop knowledge and skills in the areas of graphic communication, printing and publishing, audio and video production, and broadcast journalism. Students will work both independently and as part of a production team to design and produce media products in a project-driven environment. Practical projects may include the making of signs, yearbooks, video and/or audio productions, newscasts, and documentaries. Students will also develop an awareness of related environmental and societal issues, and will explore secondary and postsecondary education and training pathways and career opportunities in the various communications technology fields. At St. Andrew’s, this course specifically addresses the multi-faceted needs of beginning journalism and graphic arts students by introducing them to all phases of yearbook production. Students will demonstrate skills in the specific areas of journalism, including layout and design, photography, and publishing. An integral part of this course will be the demonstrable production of newsletters, website, and a school yearbook. These class-based activities are envisaged as providing students with experience in the actual journalism concerns of interviewing, reporting, meeting deadlines, and producing a publication. Students will independently, and in teams, in co-ordination with the Review/Yearbook Club, create the current year’s Review. Students will also study and master relevant digital software, explore careers, the importance of lifelong learning, and the impact of communications technology on society. This course enables students to further develop media knowledge and skills while designing and producing projects in the areas of live, recorded, and graphic communications. Students may work in the areas of TV, video, and movie production; radio and audio production; print and graphic communications; photography; digital imaging; broadcast journalism; and interactive new media. Students will also expand their awareness of environmental and societal issues related to communications technology, and will investigate career opportunities and challenges in a rapidly changing technological environment.